With divorce being so common, many children, especially boys raised by their mothers in single-parent families, lack a positive male role model. This program pairs children from single-parent households with adult volunteers. These volunteers regularly visit their "Little Buddies" to carry on all manner of activities that they might otherwise have had with their missing parent. Jewish Family Service created this program in response to calls for help from parents of children with special needs. The parents' main concern was that their children tended to sink into isolation because they had no out-of-school friends. This program links each child with a JFS-trained high¬ school student volunteer. The volunteer, acting as a typical peer, meets with the child on a regular basis and engages him or her in such everyday activities as playing games, listening to music, or doing homework and special outings such as shopping, eating out and bowling - even instant messaging! As much as this relationship benefits the child, the high school students benefit equally. Not only do they discover the value of volunteering, but they make a new friend and have their eyes opened to a new world. When children act out, when they seem exceptionally tired, when they are unengaged, when they no longer perform at school, it may be time to seek professional help. Jewish Family Service employs specially trained child therapists, psychologists and psychiatrists. Our offices house a specially arranged child therapy room that is conducive to putting children at ease. Whether it is play therapy for the young ones, talk therapy for the older set, or medication therapy for those who need it, JFS can help you and your child. SVA sends volunteers into inner-city schools once a week to supplement teachers' efforts to raise reading and math skills. In addition, volunteers visit these schools once a month to read to classes as a whole. JFS volunteers also participate in the nationwide SVA "Read Aloud Program" each October. As part of this program, the volunteers travel to local public schools in our Bridgeport community and read to the children. Groups are run when there is sufficient enrollment. 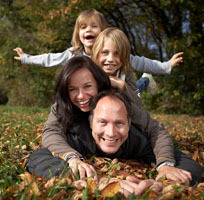 Under this program, our child psychologist makes home visits to observe family dynamics first-hand so as to develop a workable plan to improve behavior and family functioning.